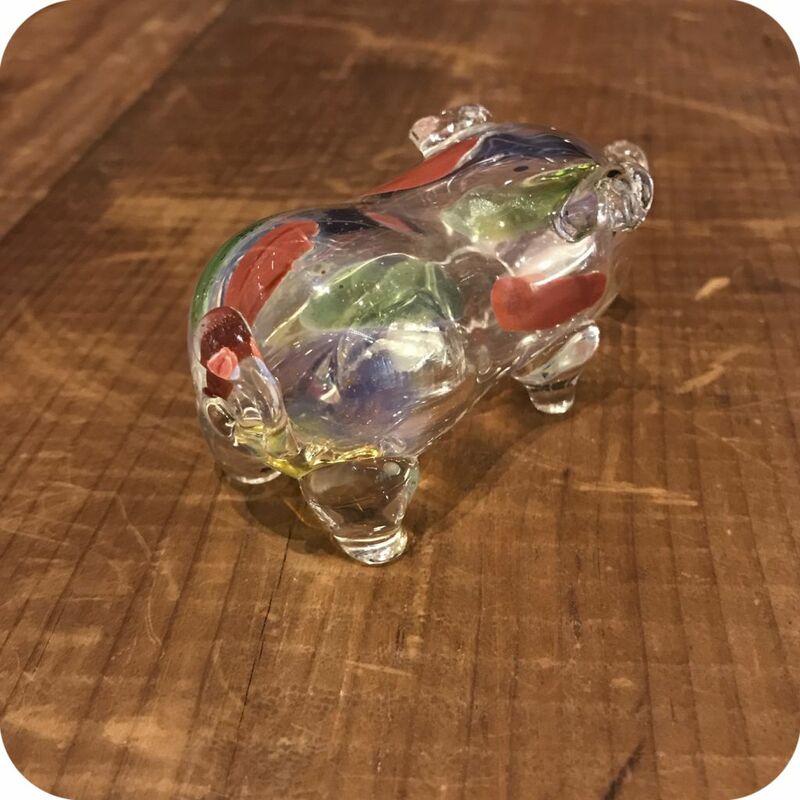 This adorable little piggy wants to run, run, run all the way home to a new owner! Grab your piglet pipe today. 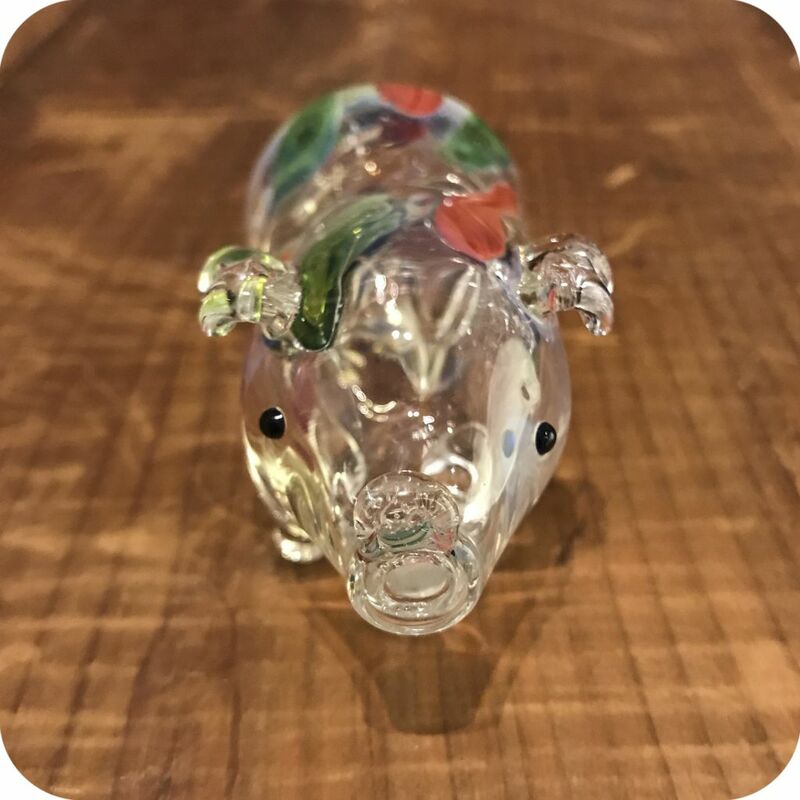 At 4″ long and 2″ tall, the body of the piglet pipe allows ample room for your smoke to cool, and the clear glass provides a perfect view of the smoke swirling around inside during every hit! 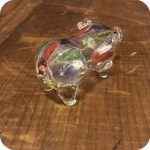 Pack the bowl on his belly, inhale through his mouth (kiss the pig with every hit!) 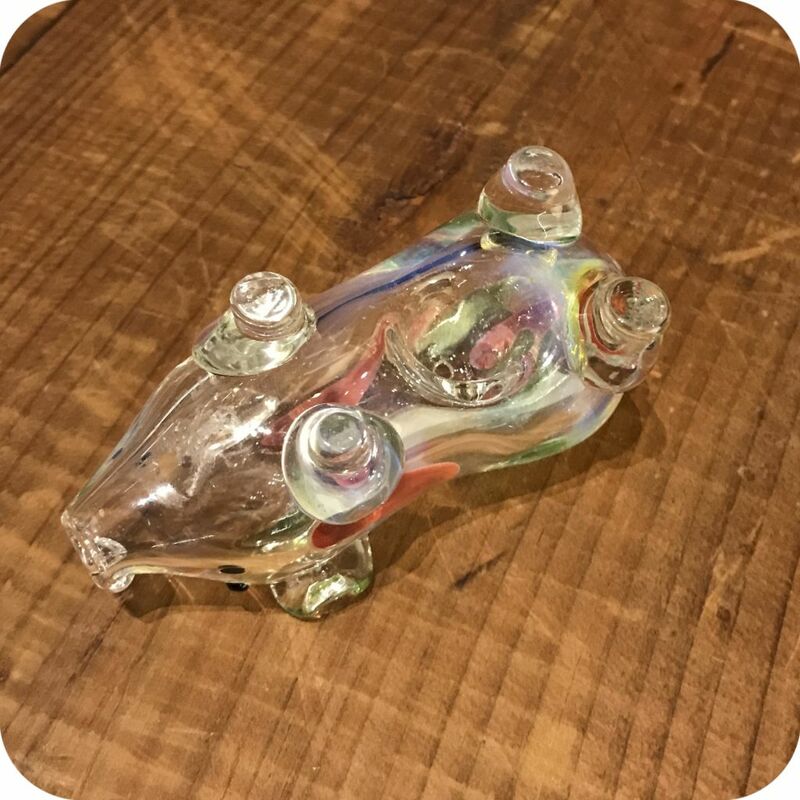 and control airflow with a carburetor located right under his curly tail. 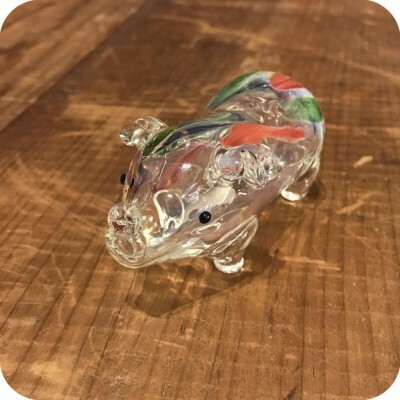 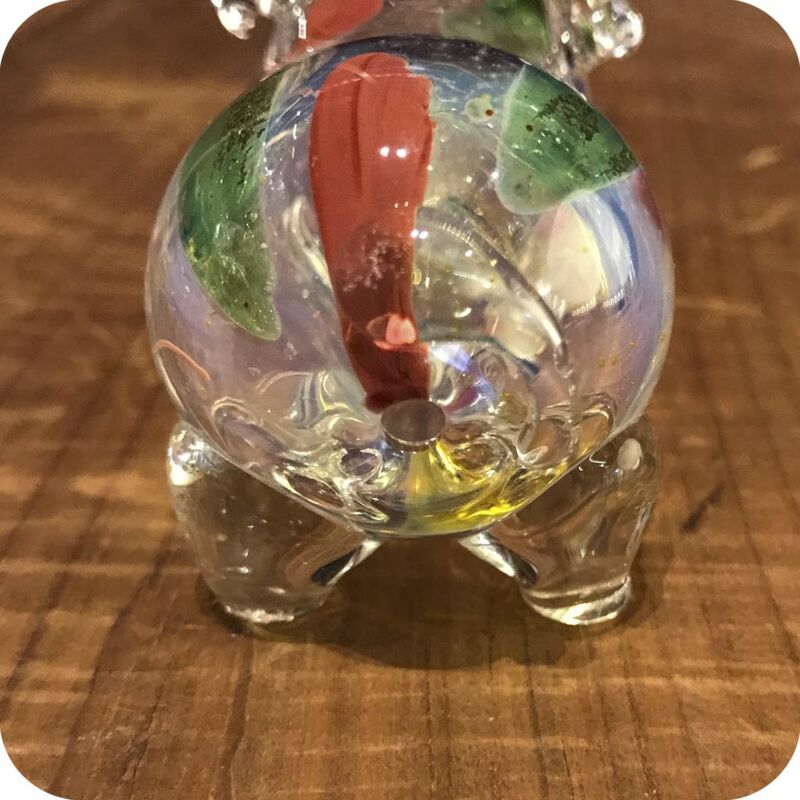 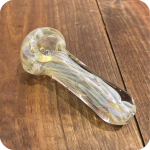 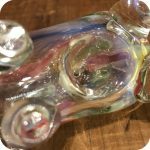 Featuring swirls of color on clear glass, this pig pipe is pretty to look at, fits comfortably in your hand, and will make a great addition to any glass collection. 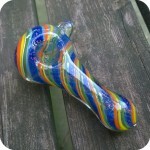 Categories: Glass Pipes, Animal-Food-Character Pipes. 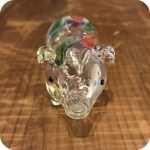 Tags: animal pipe, animal pipes, piglet pipe.